Experienced nutritionist Kirsten Brooks is able to assess your health, dietary habits and lifestyle to determine the best way to overcome any health complaints you may have, optimise your well-being or help with weight loss. She will tailor a diet to your individual requirements, as well as provide advice on preventing future problems. The diet will be realistic, achievable and enjoyable and plenty of support and encouragement will be given. 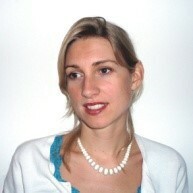 Kirsten has been seeing clients at IMBS since 2005 and has a BSc Hons in nutritional medicine. Optimum nutrition provides the raw materials to repair the body, as every single molecule of our bodies is derived from what we eat and drink. Kirsten will encourage your body’s own healing ability with an individualized nutritional programme to address the underlying reason for your health complaints. She takes away the guesswork and can offer digestive, candida testing, food sensitivity testing, hormone testing & much more.